Apapa: King Christian IX of Denmark and His Descendants by Arturo Beeche and Coryne Hall will be published on March 28. Oh what a dud! 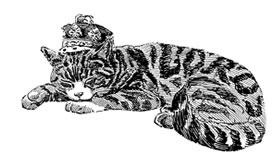 Lucinda Hawksley's The Mystery of Princess Louise Queen Victoria's Rebellious Daughter has flashes of being readable, but when it comes to deciding if this is a good book, and worth adding to a collection, let me state categorically: no. Deeply disappointing. The book jacket blur describes Hawksley, a descendant of Charles Dickens, as an art lecturer. Stick to art, Lucinda, because you are not a very good royal biographer. I would use the word abysmal to describe your effort here. Louise's paper trail is limited, as acknowledged by the Royal Archives. She was told that Louise's files were 'closed.' One can assume there are not a lot of "files" because the only real documentation would be correspondence, photographs, diaries, and perhaps other papers. It was not customary to maintain a historical record for future biographers. It was not unusual to destroy correspondence, for all sorts of reasons. Queen Alexandra destroyed the majority of her papers, including correspondence. This has proved difficult for biographers, including Georgiana Battiscombe. Louise was the sixth of nine children of Queen Victoria and Prince Albert. She was described as rebellious, as rebellious as a princess could be in the 19th century. Queen Victoria was not an easy parent. This is not news as other, more competent biographers have noted the same thing. Victoria's poor parenting skills -- and she didn't have the best model in her own mother -- is evident, even in her correspondence with her eldest daughter, Vicky. Hawskley is convinced that the reason for the secrecy in the Royal Archives is because Louise gave birth to an illegitimate son, circa 1866-1867. The alleged son, Henry Locock, was adopted by Mary and Frederick Locock in December 1867. It was Henry's grandson, Nick Locock, who grew up with the story that Princess Louise was his great-grandmother. The story has no merit on so many levels. Henry Locock claimed that his "mother" had access to him during his childhood, and he played with his royal cousins at Osborne. I think the Locock story to be without merit. Louise was in her late teens, still chaperoned. She continued to be present at royal events, and it would have been difficult to hide a pregnancy from so many people. If ... Louise had become pregnant, she would not have remained at court. Queen Victoria would have made arrangements to send Louise out of the country, perhaps to the south of France, during the pregnancy. The baby would have been given up for adoption, most likely to a foreign couple, and Louise would have returned home to begin life anew. She would not have been told about the adoptive parents, and there would not have been any contact with the child. Period. There are at least two documented cases of princesses getting knocked up out of wedlock, and being sent away to give birth. In 1871, Princess Thyra fell in love with a Danish soldier, Vilhelm Marcher. She became pregnant, and traveled to Greece, on the advice of her brother, King George, where she gave birth to a daughter. The baby was adopted by a Danish couple. Thyra never saw her child again, and her putative lover killed himself after a confrontation with Thyra's father, King Christian IX. Duchess Marie of Mecklenburg-Strelitz, a granddaughter of Princess Augusta of Cambridge, tossed out of the palace in 1898 after getting pregnant by a footman. No parental support, but her grandmother, the Dowager Duchess Augusta, came to her support, provided assistance and made arrangements for the young woman to travel to France, where she gave birth. Her child was adopted. Duchess Marie was not told about who adopted her child. Queen Maria Sophie of Bourbon-Two-Sicilies had an affair with a papal guard, and became pregnant. Her family arranged for her to travel to Germany, where she gave birth in 1862. Her child was adopted by her lover's family. She never saw her child again. In other words, an enceinte Louise would been packed off to the Continent, and her child adopted, and she would not have had any contact with the child. There is no doubt that the artistically-inclined Louise sought sexual pleasure outside her marriage, as her husband, the Marquess of Lorne, was homosexual. She had a sense of adventure as she traveled through the United States and Canada. Hawskley hits all the right points when discussing the state and status of Louise's marriage to Lorne, heir to the Argyll dukedom. But this is not new information. She took on charities and patronages, supported the arts and the artists themselves. She sought love and passion, and was with sculptor Edgar Boehm when he died. Literally. This is backed up by orrespondence and memoirs from contemporary sources. But it is difficult to treat this book as a major achievement or even a decent biography you would want to place on the shelves. This is largely due to the dozens of mistakes that the author should have corrected before sending the final manuscript to the editor. Sloppy. Queen Adelaide gave birth to four children, not two. Hawskley has a very limited grasp of how hemophilia came into the royal family. She repeats, for no apparent reason, the old canard that the duke of Kent was not Victoria's father. For one thing, hemophilia passes through the female line, not the male. For many years the prominent theory was a spontaneous mutation at the time of Victoria's conception. A more likely scenario is that the disease was already in her mother's family. Victoria's maternal family tree shows a number of sons dying young. Hawskley makes a big deal about Louise being the first member of the royal family since 1515. Excuse me? Great Uncle Augustus, Duke of Sussex, married twice, to daughters of earls. The marriages were in contravention of the Royal Marriages Act. George III's brothers, the Dukes of Cumberland and Gloucester, married commoners, and both marriages were accepted, although Parliament passed the Royal Marriages Act to forbid further such marriages. James II's first marriage was to Anne Hyde, another commoner. Four of Henry VIII's six marriages were to non-royals, the last in 1547 to Catherine Parr. No, Lucinda, Princess Beatrice did not introduce Battenberg cake to Britain. Although some sources say that it BATTENBURG cake was created in 1884 for the wedding of Princess Victoria of Hesse and by Rhine and Prince Louis of Battenberg, confectionary historians have proven that the cake first appeared in England in the late 1890s. Louise may have traveled to South Africa with Princess Alice and Lord Athlone, but Alice was the daughter of Louise's younger brother, Leopold, and not her older sister, Helena. On page 232, she referred several times to Arthur and his wife Marie. Arthur was married to Louise Margaret. His older brother, Alfred, was married to Marie. George V did not throw off "old Hanoverian associations." Queen Victoria was the last of the Hanoverians. George V was a Coburg, as was his father. 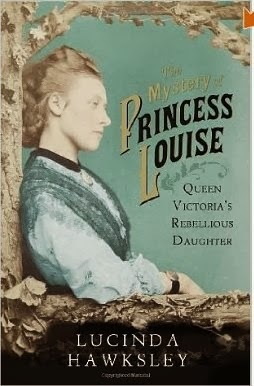 If you want to read a good biography of Princess Louise, I recommend Jehanne Wake's Princess Louise, Queen Victoria’s Unconventional Daughter, published in 1988 by Harper Collins. A definite must have, unlike Lucinda Hawksley's feeble book. A true disappointment.